Welcome to Dreams Alive! 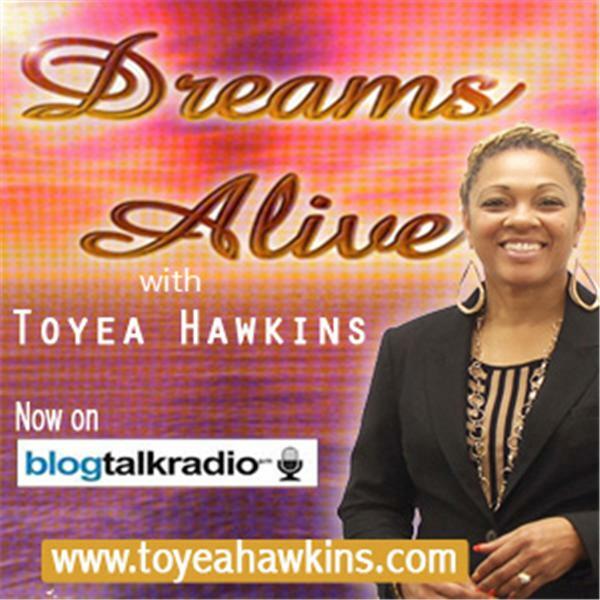 I'm your Host Toyea Hawkins. This is the online radio show inspiring aspiring, new, and seasoned entrepreneurs to DREAM BIG, ACT ON IT, & DO IT NOW. There is no better time than RIGHT NOW to live the life you've always wanted to live by acting on the dreams you see in your heart. Listen to the interviews of visionaries who dared to step beyond their former boundaries to make their dreams come true through creativity, invention, passion, and business action. Independent Filmmaker, *Jerry Davis* Keeping his BIG *Dreams Alive*. Interview w/ *Charisse Holsome*, Phindol Productions, Inc.